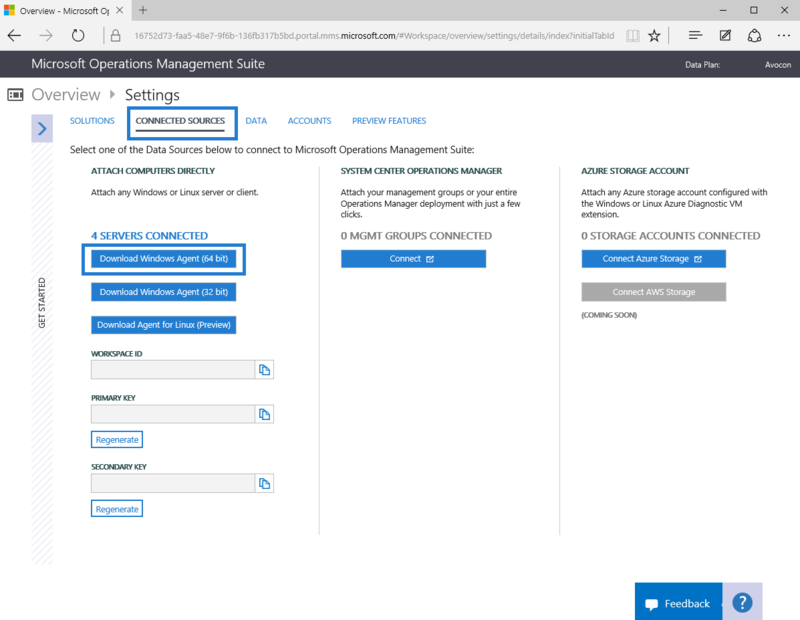 Click on your Company Name and Click the Gear to go to Settings page. 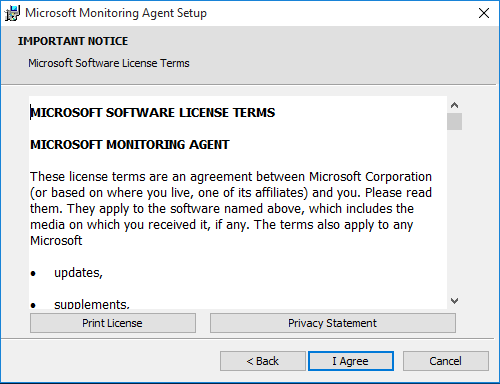 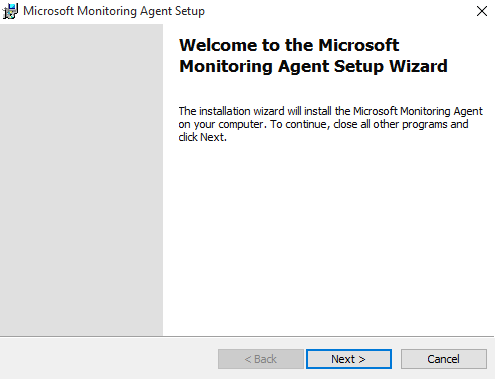 Click Run after the MOS Agent installer finishes downloading. 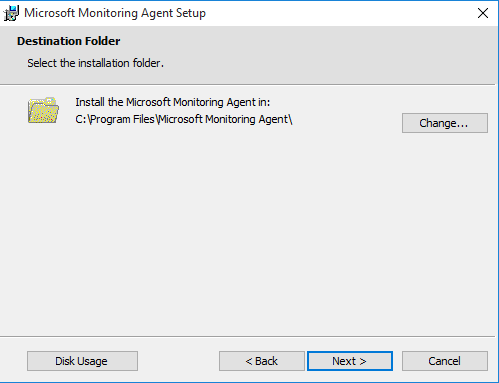 Change folder path or leave defaults and click Next. 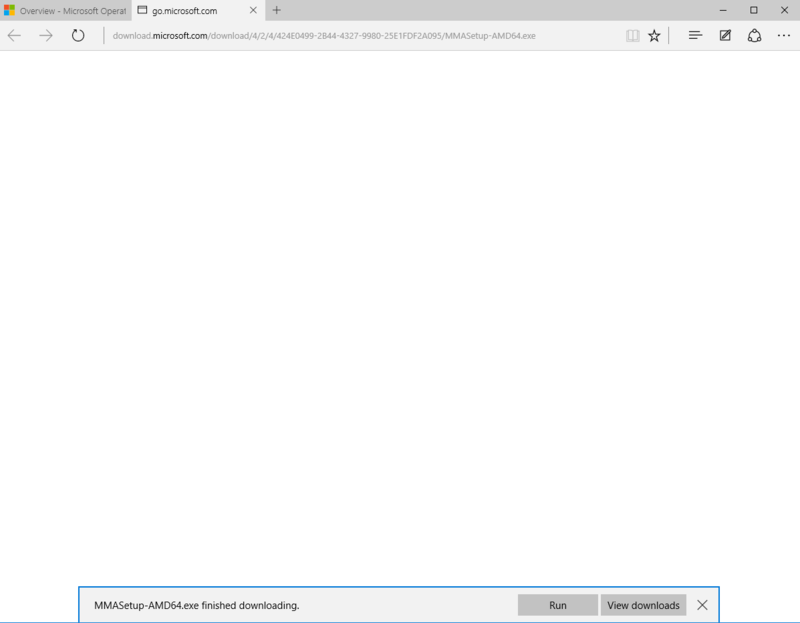 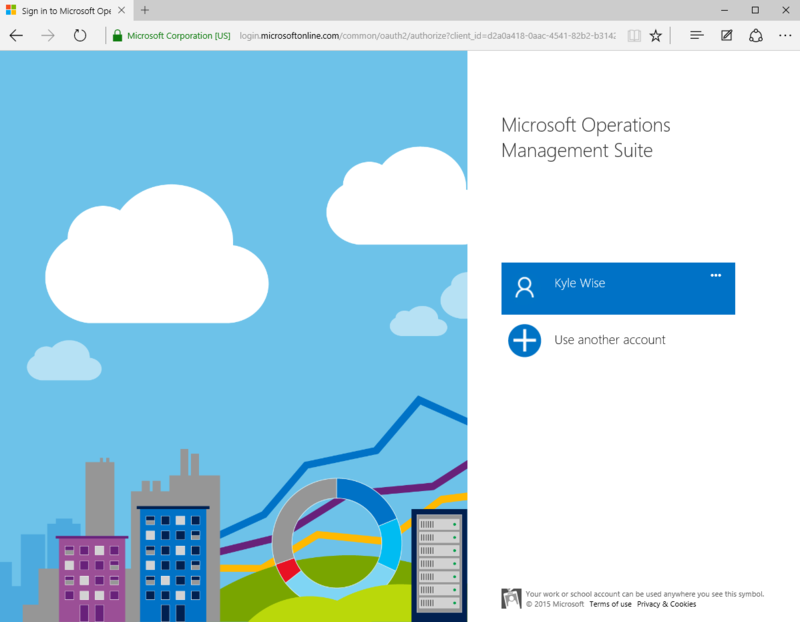 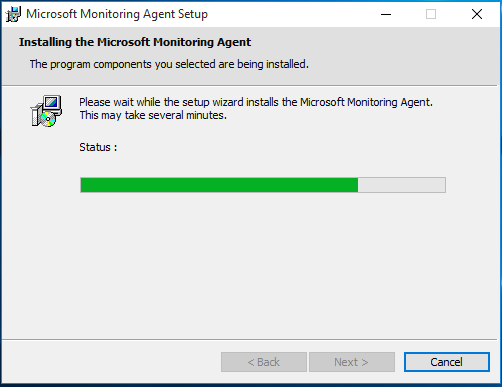 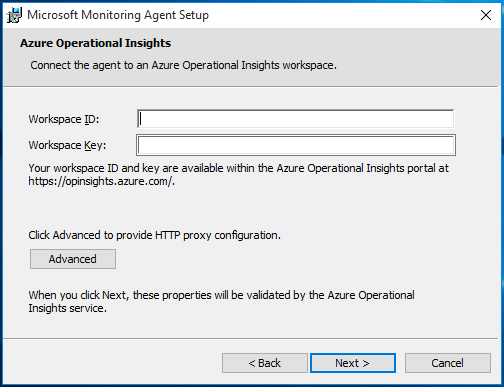 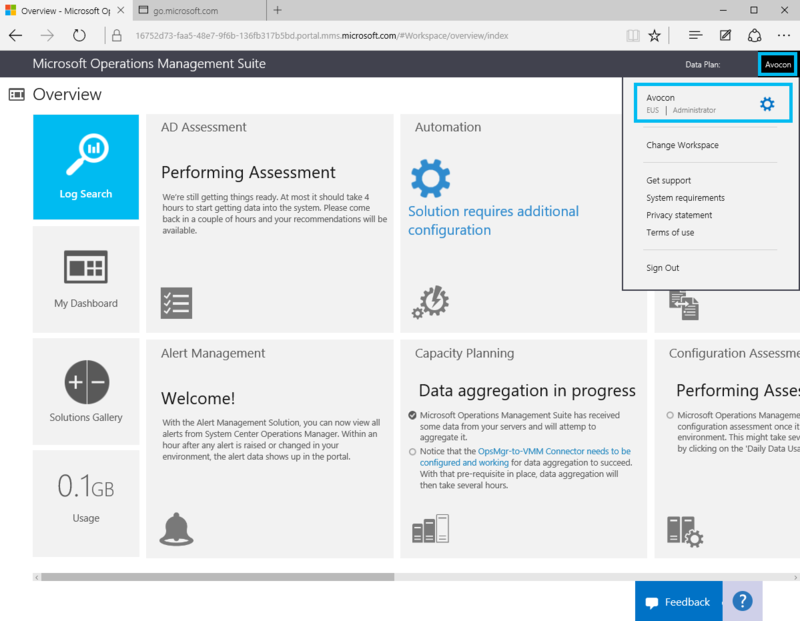 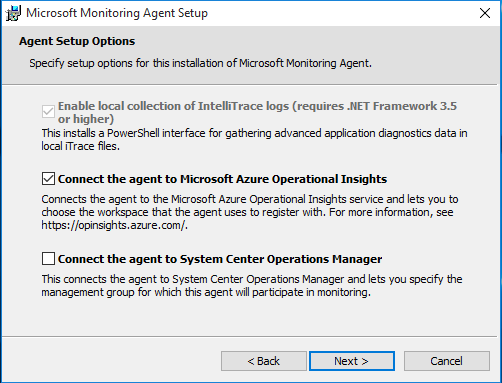 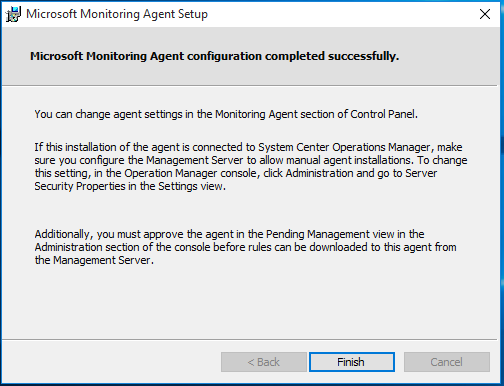 Select Connect the agent to Microsoft Azure Operational Insights. 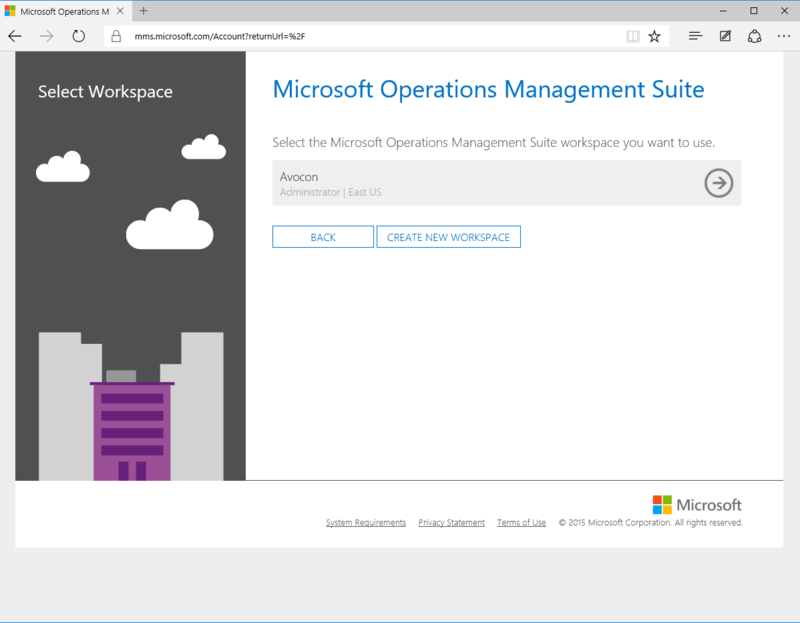 Copy your and Paste your WorkSpace ID and Key from your Portal into here. 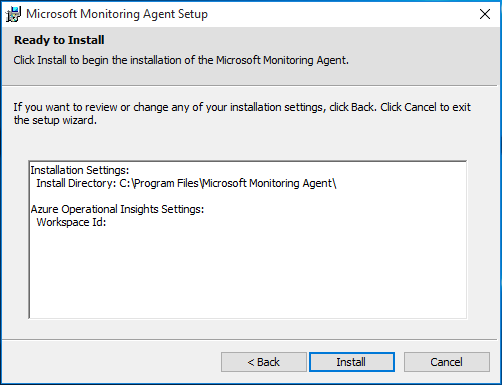 Verify Installation Directory Workspace ID are correct.